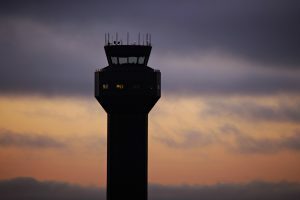 Oakland International Airport powers over half of the jobs in the region generated by the Port of Oakland, making it a major economic engine for the entire Bay Area. We ship and receive more cargo than any of the other airport in the region, and serve as a major hub for shipping giants UPS and FedEx. Over 11 million passengers pass through OAK each year, earning us the rank of fourth largest international visitor gateway in California, and the fastest-growing airport in California over the last two years. Since its inception in 1927, OAK has been on the cutting edge of aviation innovation and achievement. We proudly boast the best on-time arrival and departure rates of the five Bay Area airports. Simply consider our centralized location, easy highway access, public transportation services, and rockstar parking options – it’s easy to understand why OAK is the airport of choice for Bay Area residents. As Oakland emerges as a destination city in its own right, OAK offers new carriers and more nonstop flight choices than ever before. We are also adding a wide variety of terminal upgrades and amenities to improve your travel experience. Whether you are traveling for business or pleasure, OAK is the BEST way to and from the San Francisco Bay. Check us out for cargo, travel or vendor opportunities. The sky’s the limit! Here are some of the people and programs making your journey more enjoyable. Learn firsthand why people heart OAK.